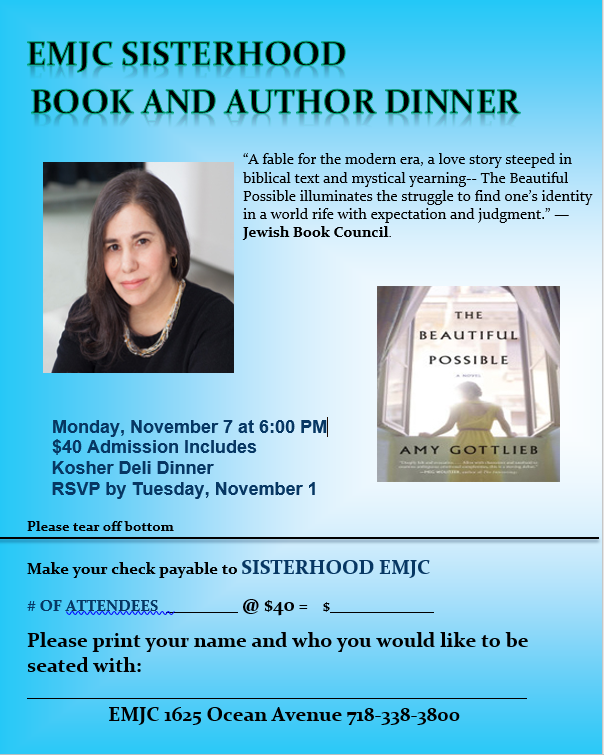 Featuring Amy Gottlieb, reading from her book, The Beautiful Possible. $40 per person for a kosher deli dinner. Contact info@emjc.org for your reservation.